Claudia: talked about new guidelines and rules for use of the Grange. -> no propping of the back door, all doors need to be locked up by 8 pm including the bathrooms. Designated person for the Key. Claudia: April 6 there will be a Northern California Health Summit being held at the Grange. It is a Free to the public event, there will be a raffle, free childcare, tables for vendors, There will be a number of featured Health talks for 15 min each where people can demonstrate skills or make a cream or tea together or discuss exciting and important topic. She wants to sponsor the Herb Guild to have a table and to do a talk. She is asking for volunteers. There will be a 8×5 table in the Hall so that we can feature products/the Exchange/and or anything else we would like to do at the table… sort of like a table at the Farmers Market. Claudia: would like to see a Seeds and Starts exchange happen in the next month or so. No date set up yet. AnaHope: Farmers Convergence was a great success. Donna gave the keynote speech and talked about collaboration between the local Farmers and the Herb Guild/Herbalists. Many people came to our talk on First Aide and to our booth. Ideas for next time: try to cover less material but in greater depth than so many things ( hey we do have a lot to offer the community, don’t we? ). It would be good to get together a week in advance to review a talk like this with the co-leaders before we do this again. Good job everyone. AnaVictoria: Mendo VitalityTonic: it is being sold now at Mariposa in bulk. The Ukiah Co-op does not have the Tonic yet. We need to be making more so that we can provide on a consistent basis before we set up in the Co-op. Happy Days CSA wants to add 4 oz bottles in their boxes. Perhaps we can also add in a tea blend, a salve, herbs. Zodiac has bought some of our product. Currently we are making 20 gallons every other month. Another brewing is happening on March 4 at the Grange. Leslie: Herbal Exchange Pod – we have multiple sign ups. Quinn and Leslie to collect them and see what we can do with the information. Thank you to the Farmers Market for helping to sign up people. 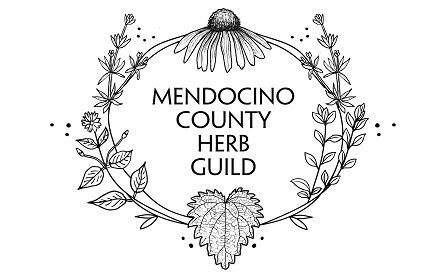 A few of us are attempting to go down soon.to the Sonoma County Herb Exchange to talk with them about how they operate. June EVENT- Best date seems to be June 9. Place will be the Redwood Grove Park. Idea is for a Free event for the public with venders, education, plant sale, membership drive and lots of music and fun. AnaHope- spoke about issues related to the various accounting issues with the MCHG which also rolled into a discussion of pertinent questions for the telephone call coming up on March 3. Currently we are set up as an Unincorporated Non Profit on the paperwork. Certain persons are liable if issues were to arise because their names are on the papers ( for example Bank ). Discussed the various forms that we may want to grow into and what best suits this group. LLC is a partnership, income from biz goes to individuals in the partnership and each indiv. is taxed based on % of profit.. Non Profit is set up such that you can make money, all money goes back to the group and back into the business. It needs a board of directors. BOD need insurance. It becomes a 501 C3 so donations can be deducted. It makes it so individuals do not have to pay taxes on the profits made by the group. Cooperative- needs a BOD, all the profits get distributed back to the members/workers and they have to pay taxes. There is a meeting set up soon with West Co to ask set up questions and for a new Business like ours. AnaHope will attend that. Anyone else want to go? They are good at helping set up organizations but really only work w FOR profit groups. In preparation for the next Nuts and Bolts meeting on the phone March 3, we discussed the most pressing questions for the group at this point. 1. How do we make decisions as a group –>> . What is the process we all want to agree on that works best. 2. What is our Organizational Structure? Legal Structure? Do we want to become a Non Profit? How would we appoint or elect a BOD? 4. Should we structure an interim temporary decision making Council until our official structure gets put together so that some of these bigger issues are handled?? Aria is moving away so will not be working with the emails. Newsletter for the Members needs Help. we need more content – photos of people making products, short cool articles on things like herbal recipes, gardening tips, highlight an herb, poem, event local to the county, highlight a business or a meet a members. AnaVictoria could use help with this. It was suggested that the Vitality Tonic develop a financial plan. It was suggested that we form a Financial Committee to continue this discussion.